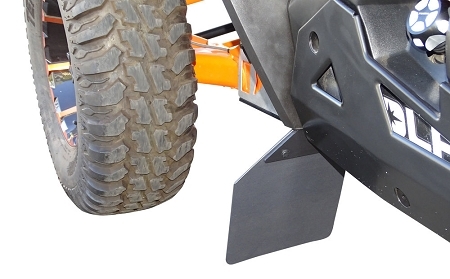 We have an affordable solution to help keep unwanted dirt, rocks, and debris away from your rear trailing arms, CV's, and brake components. 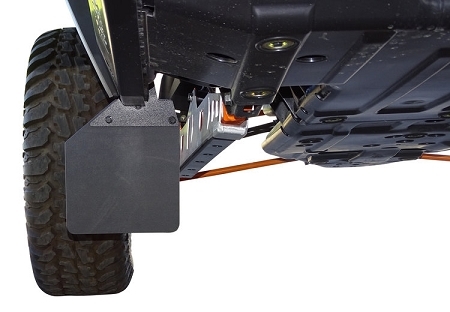 Our Rooster flaps deflect debris normally kicked back from your front tires and into your trailing arms and rear hubs. A single rock can wreak havoc if it gets caught in the wrong area. 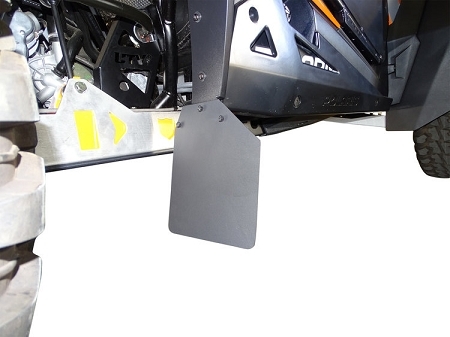 Help prevent that damage with our low cost roost flaps! *The regular flaps are shown in the pictures.